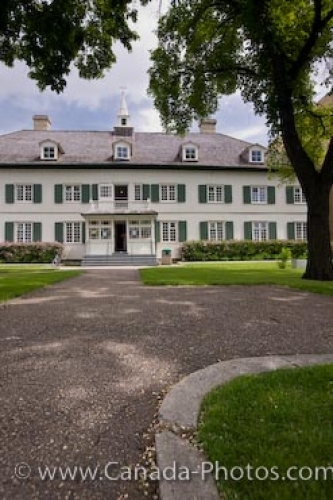 Formerly the Grey Nuns Convent, now home to the Saint Boniface Museum in theCity of Winnipeg, Manitoba, this historic building was built in the years between 1845 and 1851. Inside the museum, visitors will find a rare collection of artifacts dating back to the French Canadian and Metis cultural traditions in Manitoba. Picture of the entrance to the Saint Boniface Museum in Winnipeg City in Manitoba, Canada. The grounds of the Saint Boniface Museum are immaculate all which filter towards the entrance which is open year round to visitors. Spring and summer are two of the best seasons to visit the museum as the gardens are blossoming in an array of color.